Metal Poker Chip with magnetic ball marker. 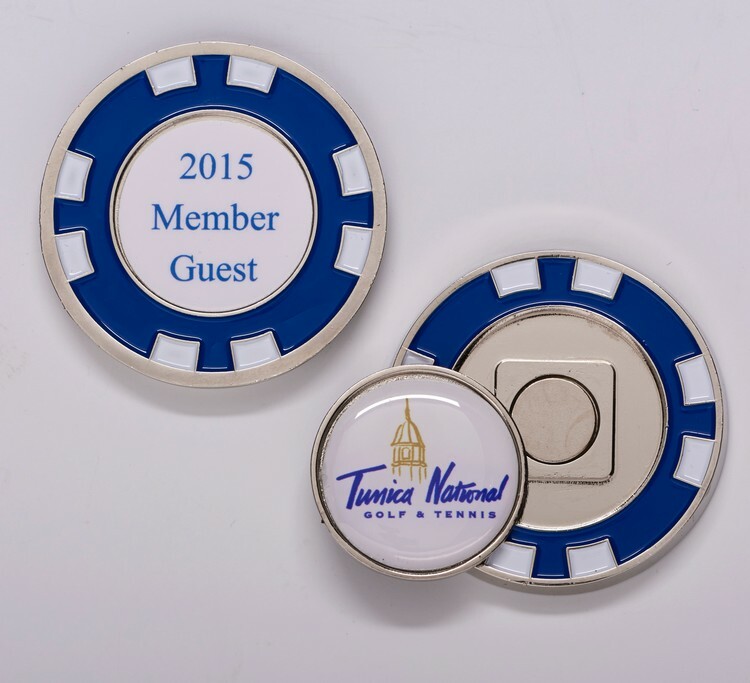 Solid metal poker chip with two-sided imprint and removable 1.00" magnetic ball marker. Back side features fixed flat label for added exposure or co-op partnering. Customized color domed or frosted etch logo can be added. 1.5" x .155". Colors: black, red, green, blue, white, and pink. • Special Packaging: Insertion of customer supplied insert cards available. For drop shipping and fulfillment services please inquire.